Part of the Marutama Ramen chain. From the main entrance, take the escalator on the left to the first floor, keep going straight until you see the area with a sign that says Food Hot Spot. Marutama Ramen is there, facing Sakae Sushi. 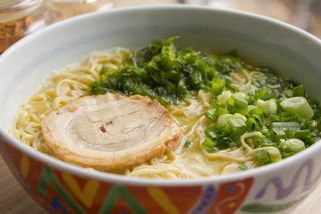 Originating from Japan, Marutama Ramen is one of the few ramen restaurants that uses chicken based broth instead of the traditional soup variety for their ramen. Chicken and other ingredients for the broth are boiled for over five hours to achieve their signature thick soup with strong flavours. 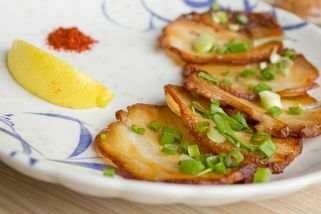 The ramen at Marutama is usually served with spring onions, Aosa (river bed seaweed), and some Char Siu (roast pork slices). 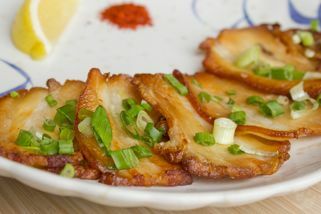 Additional toppings and sides like Kakuni (pork belly) and Ajitsuke Tamago (flavoured boiled egg) can be ordered to further complement your ramen. Customers may choose between their regular broth and their more spicy broth. 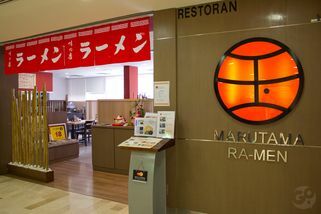 Marutama at Fahrenheit 88 is located on the first floor in the Food Hot Spot area, facing Sakae Sushi. This restaurant is their flagship outlet in Malaysia and has since become a well-known name among local ramen connoisseurs. "Unexpectedly thick broth for chicke..."
Heard a lot about marutama but only just tried it. It's my new favourite ramen restaurant! Not sure why it took me so long to try the Ramen here as I have heard people waxing lyrical over them. Visited today with a friend who happens to be a huge fan (she goes there weekly! ), and it was love at first sight. The Ramen, that is. I'm straight. Situated in Fahrenheit 8 on the first floor, this cute little Ramen joint looks and feels authentic. You'll see Japanese people dining here too, which is always a good sign. We pored over the menu for a little while. There are many options, so there's bound to be something for everyone. I've ordered the Spicy Ajitsuke Tamago Ramen which comes with one marinated soft boiled egg, one piece of charsiu, river bed seaweed and spring onions. At first glance, you wouldn't think it's spicy at all, but the broth definitely packs quite a bit of heat. The Chicken broth is thick, and rich but definitely not as cloying as the usual Tonkotsu broth. Salt level was perfect. I accidentally finished the Char Siu too fast, so we ordered a side of 3 Char Siu (RM6). They were really addictive. So If you love pork, make sure you order the Ramen with multiple pieces. There were plenty of noodles too, and they were springy, bouncy, perfect marriage with the broth. But the star of the dish? Definitely the Ajitsuke Tamago (marinated soft boiled egg). Perfectly runny in the centre, and well marinated. 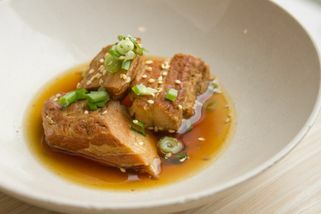 It's rare to taste even the soy and mirin in the yolk itself, and they managed to achieve it. Big thumbs up! I'll be going there again pretty soon! "Everything is where it should be!" This is my top choice for ramen in KL. A simple place where people approach their ramen meals in an almost religious manner. 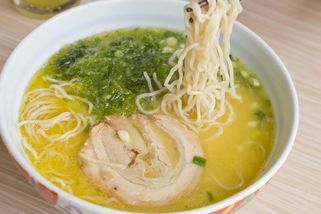 Don't be surprised to sight lone customers waiting gleefully for their bowl of ramen to be served, ready to dive in. Marutama has been around for many many years since before KL Plaza changed owners and transformed itself into Fahrenheit88. They have been consistent with their taste, their ramen, the pork slices, the soup and everything else that makes up the bowl of perfect Japanese noodles (including their service). Even the chilli paste is amazing, which they give out only by request and always in scarce portions. Getting there is very easy. There is a valet drop-off at the front of the building, you walk in, ride up the elevator and the cosy little joint will be right ahead of you towards the end. 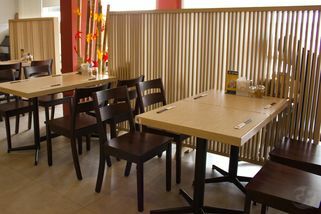 This restaurant is open throughout the day and it is just the place to do an in-between meal or hold a casual meeting over some food. The atmosphere allows you to sit serenely if you want to attempt a book. I enjoy the tables by the window to observe the organic city slum of Jalan Imbi right below. The service staff has not changed for many many years and are pleasantly attentive. In fact, the more you go, the better they get once they start to recognise you. A meal for two only cost about RM50. Make sure you order the tamago too!